Bengaluru aka Bangalore – The City of Lakes or The Silicon Valley of India – is the hub of India’s booming IT industry. With a pleasant climate, an ever-exploding shopping, drinking, and partying scene – it is a great city for weary professionals, students, and travellers. Now if you are a resident in Bengaluru or merely a visitor to this crowded metropolis, you will be delighted to know that it is the ideal destination for habitual night owls as well as avid party lovers. From tranquil landscapes, quirky cafes, to happening pubs – the city has it all. If you are already bored of loitering in regular shopping malls or restaurants, then you are at the right place. Check this blog out to discover five of the coolest hangout places in Bangalore to visit with friends, family, or with your special someone. This famous microbrewery and pub within a wistfully designed wooden building is any beer-lover’s paradise. 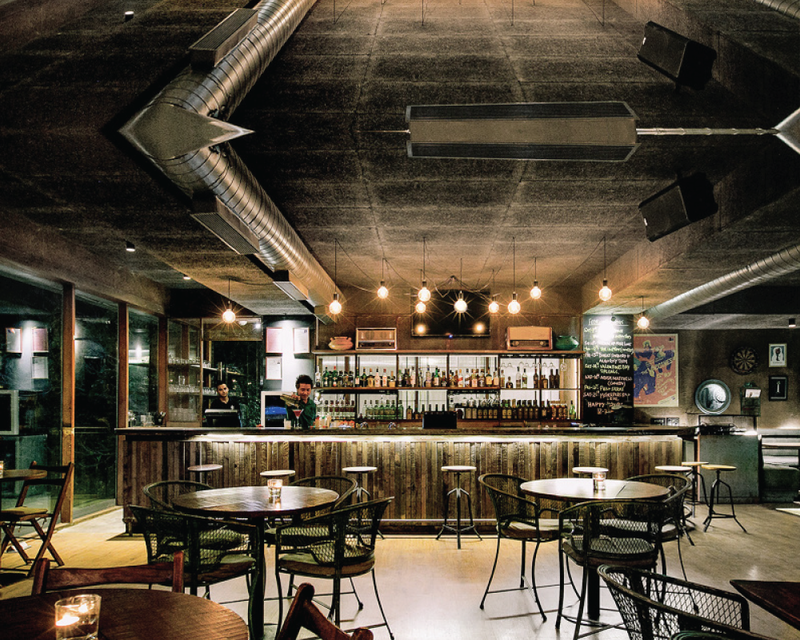 From fresh-crafted beer to a sophisticated crowd, melodic music, and an awesome food menu, this is that perfect hangout spot with a group of closest friends. Now when you go to TOIT, you definitely go for its brews. So when you are here, do not forget to try its special TOIT Weiss – a cloudy, delicious, and light wheat beer – that even proper German beer-connoisseurs would give a go ahead. With hints of banana and clove flavours, we are sure you cannot stop at just one mug. Another attraction for foodies in the menu is TOIT’s famous and authentic wood-fired pizza – especially its lamb, fig, and cheese pizza. With a thin, crunchy crust and mildly spiced lamb pieces, this delicious delicacy is surely an example of ménage à trois – straight from heaven! This street – located at the end of the Cantonment Area in Bengaluru – is your all-in-one spot if you are a fan of street shopping. Offering everything from shoes, clothes to trinkets and other knick-knacks, it is the ideal retail therapy spot for your gang. Packed with street stalls that brim with non-branded merchandise, you can buy anything at the most affordable prices. Be it stylish Indo-Tibetan fashion wear, trendy junk jewellery, chic footwear, or stylish bags – this place offers everything! It is even known for its several malls and branded outlets – to bring you back from the modern e-shopping trend to your old-school experience. When you crave for some snacks in between, Brigade Road is home to the best eating joints such as Taste of Tibet and Khan Saheb Grills and Rolls. If you wish to hop in for a movie, get cosy with your group at Rex Theatre for a cinema experience at much reasonable prices. Brigade is also famous for several pocket-friendly pubs such as Pecos and Arbor Brewing Company. So what we said is true right? When you need to shortlist that all-in-one spot from the various hangout places in Bangalore, then Brigade it is! This is that perfect spot on weekends for new music, arts, and performance lovers. Opened in 2013, this two-floored venue hosts a number of gigs for emerging musicians – including rock, pop, jazz, metal, and almost every other genre. With good options for drinks and food on its menu, its extraordinary sound and relaxed atmosphere attracts quite a crowd from Friday through Sunday. So if you want to experience some nights filled with fantastic gigs from artists all around India and the world, then this is your next destination to visit. While discussing about these unique hangout places in Bangalore, we cannot leave out the coffee shops – those cosy spaces which witness meaningful conversations, creative insights, and first shy dates. The Hole In The Wall is your ideal cafe for an amazing mug of creamy hot coffee, a late weekend brunch, and delicious food. With an inventive menu for continental breakfast, you might have a tough time when deciding what to order. So here are some of our suggestions. Try its hash browns, ferrero rocher waffle, golden frittata mix, veggie-filled fluffy cheesy omelette, peach basil lemonade, and chicken steak burger. Well these are just some options we found worth mentioning. The list just goes on and on! Arriving at the end of this list, we would also like to include one destination for nature-lovers and admirers of pretty, soothing sceneries. 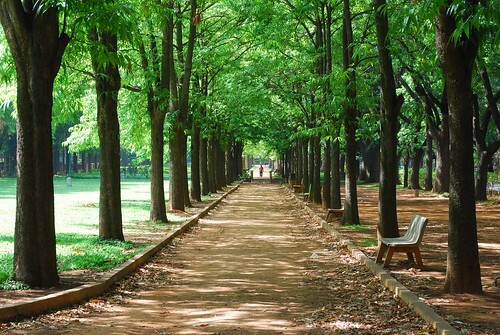 Well, surprising though it may seem, the good news is that this crowded city also is home to Cubbon Park – green lung in the heart of the city. Complete with a library, museums, a tennis academy, an aquarium, a toy train, several statues and pavilions, it is the perfect place to go on a jog with your friends in the wee hours of the morning or evening. If you have the luck to visit it during spring, you shall be spellbound with the spectacular view of Tabebuia trees in full bloom. What’s more, the park is also pet-friendly, where you can view quite a crowd of pet parents with their fluffy, adorable balls of fur. So, if you are in Bengaluru, tick this venue on your checklist. Well, we hope that we have covered it all up. However, if you know of more places (which we are sure are in plenty), do let us know! We are always eager for new insights.